The holidays are upon us, and you know what that means: New Overwatch stuff. And also family and celebration or whatever, I guess. In a new video update, game director Jeff "It's Beginning To Feel A Lot Like" Kaplan announced that the game's Mei-focused holiday event is returning. It will include everything from last year - skins, the Mei snowball fight mode and so on - as well as an entirely new boss fight mode. 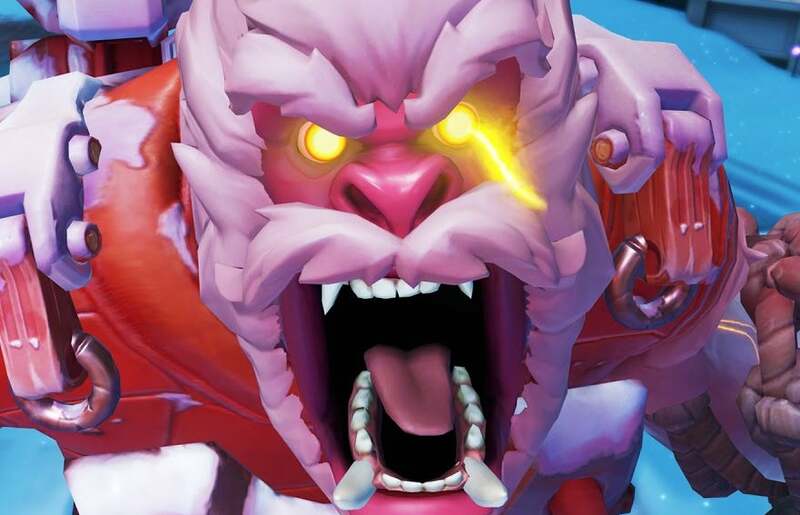 The new mode is called "Mei's Yeti Hunt", and it sees a team of five Meis trying to bring down one super-charged Winston. The mode is a "boss fight", according to Kaplan, but the Winston is also player-controlled. In each match's early goings, Winston has to elude the crack team of adorable, infuriating ice assassins and collect power-ups until he can go into primal rage mode, at which point the tables turn. Meis can flee and regroup with the aid of ice walls and ice traps. If enough Meis go down, Winston wins(tons). If Winston, an innocent yeti who's just trying to live his life, man, falls amidst the Meis' blizzard of senseless violence, then they win. In case you were worried, yes, there will also be new skins. Kaplan hinted that Hanzo, Junkrat and Roadhog are getting legendaries. He said nothing about Pharah, however, presumably because he dislikes me, personally. The event begins on December 13. Pretty funny that Team Fortress 2 last big patch had Yetis in it as well.